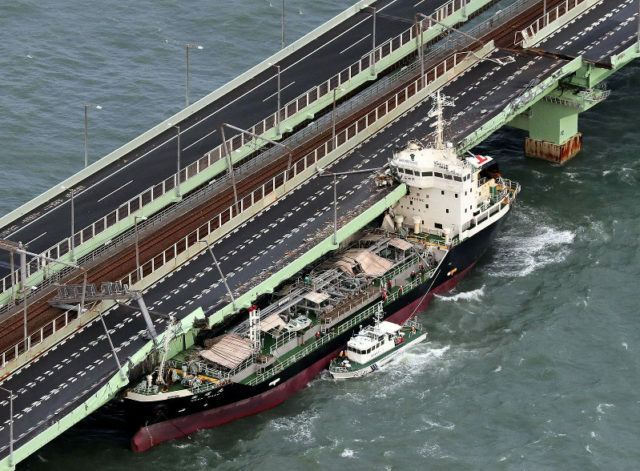 The 79 meter long, 2972 dwt cargo vessel Marina went aground in Tokyo Bay at Kawasaki, Japan. 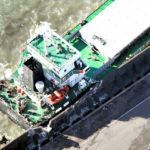 The Marina had been at anchor when strong winds from Typhoon Trami caused the anchor to drag. 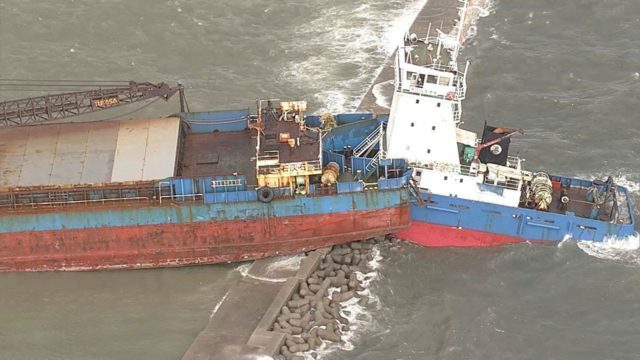 Before the 12 crew on board could start the main engine, the Marina was blown ashore onto the breakwater. 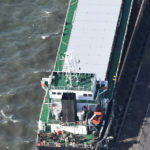 The 12 crew were able to abandon ship and safely reached the shore without injury. Reports state the Marina sustained hull damage and some oil pollution had been released. On September 4, the 30 meter long, 442 gt tugboat Kyuei Maru No. 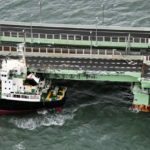 18 and the 2500 gt crane barge Tukasa ran aground on a breakwater at Hyogo, Kobe, Japan. 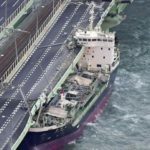 The vessels had been at anchor when typhoon Jebi made landfall nearby. 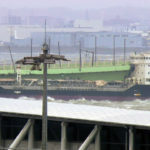 Strong winds caused the anchor lines to drag and the vessels were blown up on a breakwater. Both the Kyuei Maru No. 18 and the Tukasa sustained hull damage. Reports state an oil boom was placed around the Kyuei Maru No. 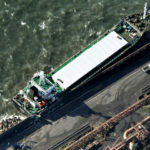 18 as some fuel pollution had been released. No reports of injuries. 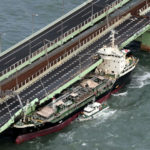 The 90 meter long, 3881 dwt tanker Houn Maru allided with a bridge over Osaka Bay near the Kansai International Airport, Osaka, Japan. 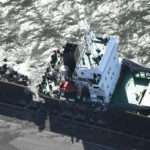 The Houn Maru had been at anchor when it was swept by gale force winds from Typhoon Jebi. 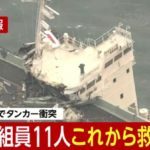 The tanker’s anchor dragged until the Houn Maru struck the bridge with extreme force. 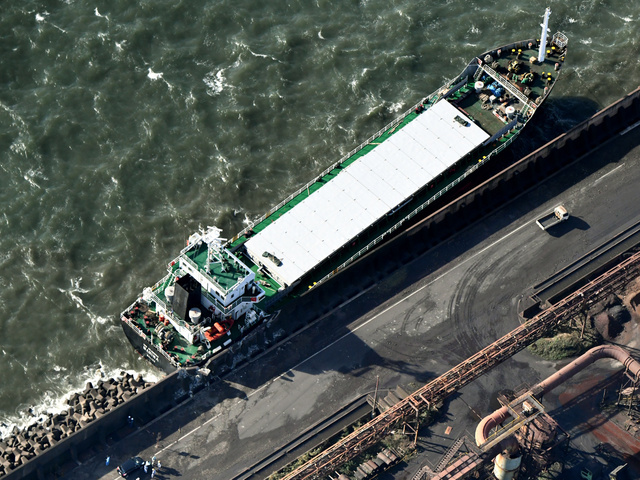 The vessel’s superstructure struck into the road deck crushing its starboard side. 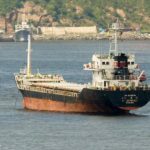 The tanker’s hull sustained multiple breaches and water ingress which flooded the engine room. 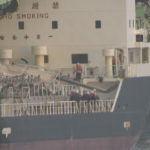 Authorities were able to safely evacuate all 11 crew on board the Houn Maru. No reports of injuries. 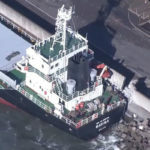 Reports state the Houn Maru had no cargo on board and no reports yet of any pollution released. One section of the 3700 meter long bridge sustained severe damage shifting it several meters off its pier. Authorities have stated the amount of damage to the bridge makes it unsafe for traffic. Authorities state is will be at least several weeks before repairs can be completed.